Lexicom Review 2019: Is Lexicom a Good Hosting? Lexicom's years of experience coupled with its provision of services on everything web related has made it a client favorite in Canada. With a quality data center, its web hosting packages are perfect for personal and small e-commerce businesses. Established in 1994, Lexicom is a Canada-based web hosting and development company. Its servers are maintained in Calgary, Canada. With a web page available in English, every hosting package assures customers of all the support they’ll ever need. Lexicom’s web hosting packages also feature FTP/SFTP access, Apache web server, and HDD storage. Lexicom doesn’t offer beginner-friendly tools. Beginners will have no website builder or one-click installer unless they find a way to install them themselves or with professional help. The lack of these tools is likely because Lexicom offers website development and management services and may not want clients to rely on other vendors but only them for the full development process. Also, there are not many developers tools. Sure, there is PHP, but many other hosting companies offer that. If you prefer to code in Python, you might need to look elsewhere. Another thing that baffles me is the restriction of phpMyAdmin access and website statistics to only the top plan with 25GB. Every website owner would agree that seeing their statistics is an important part of analyzing how well their website is doing. You can choose between any of the three yearly packages offered if budget is not a concern. If it is, however, this may not be the service for you as the prices are quite steep. Unlike most web hosting companies, Lexicom does not offer a money-back guarantee, a free domain name, or free trial. 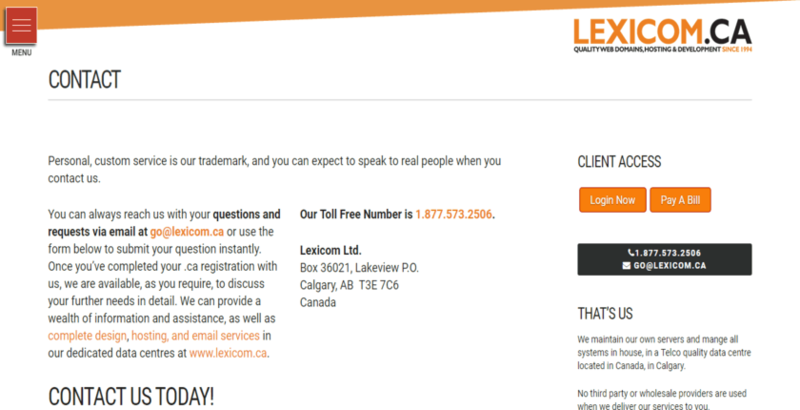 Lexicom can be contacted via a toll-free number and email, but does not have a live chat option. I sent an email, but I didn’t get any response. I then filled out the contact form on the webpage and received a response within a few hours. Unfortunately, you’ll need to rely on these methods of contact to resolve issues as without a knowledge base, there is no way for you to address the problems on your end. If you’re looking for really simple web hosting solutions for personal to small business websites, Lexicom is capable of providing that. However, the price is expensive, and there are no beginner-friendly tools available. 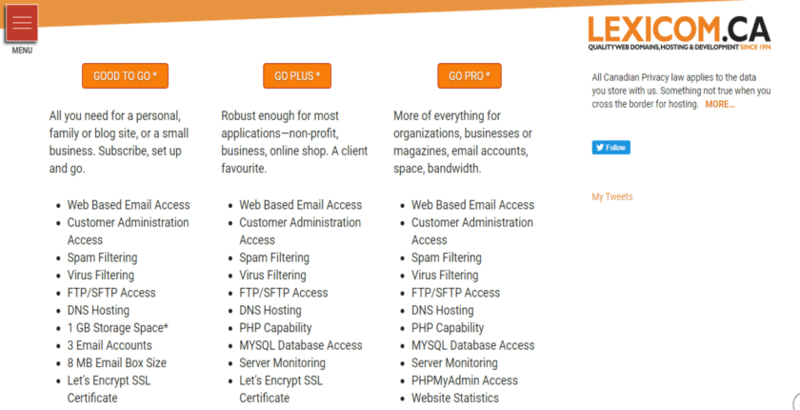 Wondering how Lexicom stacks up against other Web Hosting companies? Enter any other Web Hosting company and we will give you a side-by-side comparison.